Fine china teapot made in Poland by Wawel. 27 fluid ounce capacity (holds about three cups). 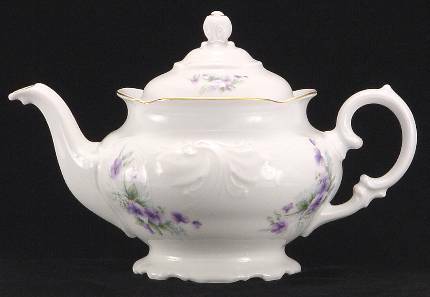 Enjoy a beautiful tea with this gracefully shaped teapot featuring the Violet pattern. Hand-painted with gold trim.